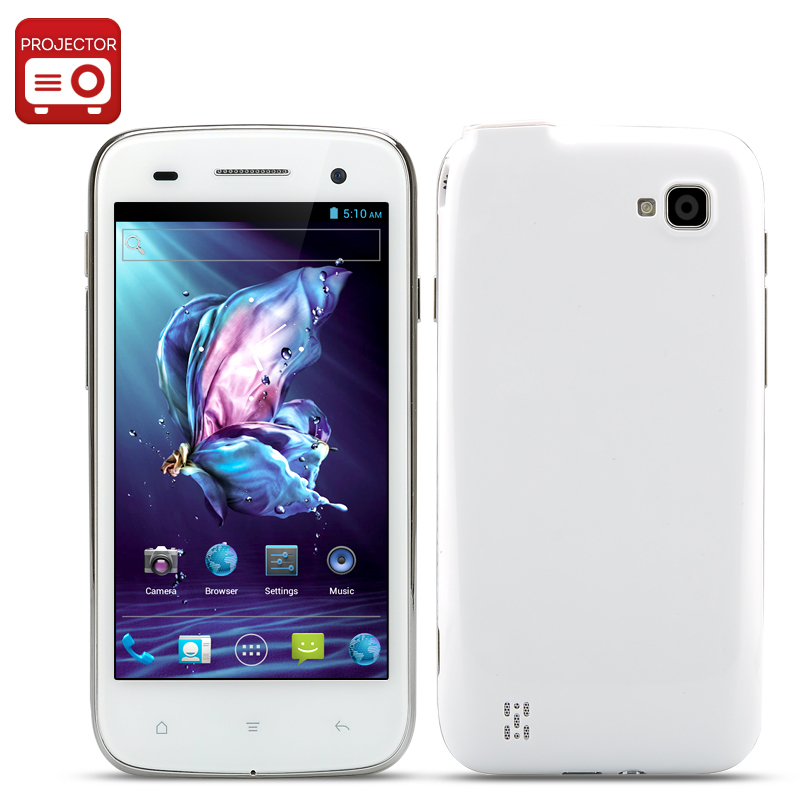 Successfully Added 4.5 Inch HD Screen Projector Mobile Phone - Android 4.2 OS, 1.0GHz Dual Core Processor, DLP 35 Lumens to your Shopping Cart. 4.5 Inch HD Screen Projector Mobile Phone features an Android 4.2 operating system, 1.0GHz Dual Core Processor and DLP 35 Lumens is great to be used for portable entertainment purposes whether you are away for leisure, business or travel. Innovation is the key to success and Chinavasion we really enjoy new products that were built with this belief. This is a projector mobile phone, which is a hybrid mix of a 4.5 inch android phone that has a build in 35 lumens DLP projector which displays at a respectable 854x480 resolution. With the projector you can experience watching movies and video in a whole unique way as it feel likes having a large screen TV that fits in your pocket. The projector is built-in and has manual focus plus it displays footage at a similar size to that of a large screen TV from a distance of meter. 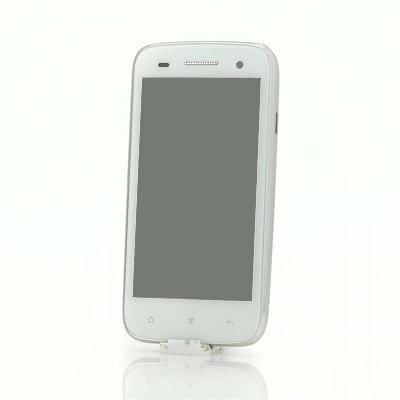 The phone has 4GB of internal memory that can be easily expanded by the insertion of a micro SD card to the allocated port, which can support up to an additional 32GB. This feature is great for transferring and storing movies and videos on your phone or you could use the Wi-Fi connectivity to stream videos from popular online sites. It is simple to capture quality photos or record videos as this phone has both a front-facing camera and rear camera, which then can be viewed through the phone’s projector. Powering this unique Android phone projector is a MTK6577 dual core processor and 1GB of RAM; therefore the overall performance is magnificence. Running Android 4.2, the phone is simple to use but has lots of advance features that will make your user experience enjoyable. There are two SIM card slots so you can manage your business and personal contacts and keep in touch with just the one device. With up to 3 hours of talk time and 1.5 hours of projector time, you will have plenty of fun with this phone due to the 2150mAh battery. This product is in stock now, we guarantee next working day shipping and offer a 12 months warranty on all our products. Brought to you by the leader in electronic devices and wholesale Phones and Projectors, Chinavasion.